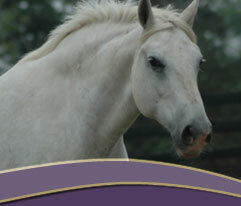 are produced from the right combination of quality mares and stallions. Experts in equine reproduction agree that the mare is responsible for 50% or more influence over all the foal’s attributes and flaws. Only carefully selected stock should be chosen for breeding purposes. The implications are staggering and especially relevant for breeders of an endangered breed, the Purebred Irish Draught Horse. Each purebred mare owner has the power to have a long-term impact on future generations. In time, many signature breed characteristics can essentially be eliminated through breeding lesser quality animals. Ultimately, the responsibility of preserving the highest standards the Irish Draught in North America lies with the mare owner. The mare owner chooses the quality of mare and stallion, and thus, the type and quality that will be passed on for generations. Good News for Irish Draught Sport Horse Breeders! The Purebred Irish Draught has long been prized as a foundation breed. Over centuries, the Irish carefully perfected and cemented solid universal equine conformational traits into a specific breed type whose qualities are unsurpassed even to this day. Ideal conformation, athleticism and unparelleled temperament are so firmly embedded into the Irish Draught, that when crossed with any other breed, the result is a phenomenon called "Hybrid Vigor". Hybrid Vigor produces a foal which is notably better than both sire and dam in terms of extreme ability, talent and suitability for the highest levels of equine competition. With the Irish Draught Horse providing the foundation, a kind, willing disposition and level-headed approach to life is nearly always guaranteed. Another remarkable and important reason to use the Irish Draught as the foundation for Irish Draught Sport Horse foals is that many conformational flaws can be corrected through Hybrid Vigor. Many European breeds have been infused with Irish Draught blood to regain substance, soundness, and saneness that has been lost over decades of refining. Desire to have a foal out of a favorite mare is reason enough to breed. Many of our mare owners who have non-papered mixed breeds choose Belfrey to produce their special, once in a lifetime foal that will be a treasured family member and all-rounder to compete on and enjoy on trails. We are always eager to accomodate these owners as we consider this an honor and our greatest compliment.